Wood N' Floor has been creating the home of your dreams for over 20 years. We are a family owned business that is dedicated to providing quality results. We offer exceptional service for the residential and commercial markets and are recognized as one of the most respected flooring companies in Ontario. We focus on renovation and installation needs of homeowners and commercial clients. We offer a suite of interior carpentry services such as staircases, flooring, doors, baseboards and casings. 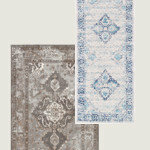 Finest selections of hand-knotted and machine-made area rugs, runners and broadloom and hardwood floors. We also specialize in custom designs. Choosing the right flooring is a crucial decision. After all, it’s something you and your family will live with for years to come. Just as important, is who you choose to buy your flooring from. 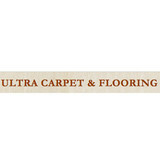 Ultra Carpet & Flooring takes great pride in its reputation for expertise and advice based on our superior product knowledge. We take the time to sit with you and discuss all your needs. What type of flooring would best suit your home and lifestyle? Which styles and colours would complement your décor? How much care will the flooring need? Our informed staff will answer all these questions and more to help you create the perfect flooring solution tailored to your specific needs. 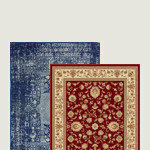 And with the most extensive range of colours and inspirational styles, we know you’ll be floored with the final result. 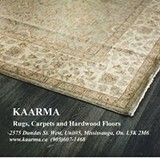 Universal Flooring Decor Centre Inc Is A Family Owned Business, We Have Been In This Business For The Past 22 Years. 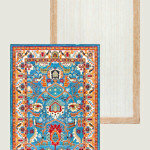 We Shop Around The World For The Best Prices And The Finest Material. We Always Look For The Best Warranties And Guaranties For Your Satisfaction. Our Main Goal Is To Bring The Latest Fashion And Quality To Your Home. We Are Proud Of Every Job That We Complete. Trends & Trades–Design Agency represents exclusively top international brands in Canada, such as Listone Giordano and Moruzzi amoung others. In 2015 we started developing our own line of flooring (T&T Wood Private Collection). Additionally, we opened our first Boutique Showroom conveniently located downtown Toronto, and in the near future we have plans to expend our concept to other cities across the country. The quality of our services and products are a strong reference for several Interior Designers and Architects in Toronto. Therefore, we have been involved with well-known and reputable professionals in this industry and the products that we represent or source have been specified and used in several local & international projects. Our portfolio of Projects Completed and our Reference List demonstrates how passionate we are for what we do and how proud we are of our accomplishments. Black Bear Flooring is Part of Peter Thomson & Sons, a hardwood lumberyard that has been around for almost 100 years. All of the wood used for flooring is made from naturally harvested lumber. It is a 100% renewable resource and does not permit clear cutting of forest yet uses selective cutting to produce lumber and keep our environment healthy. Factory Flooring Carpet One Kitchener is committed to your satisfaction, our friendly staff is always ready to assist you with any questions you may have. We want the members of our community to understand, when they choose Factory Flooring Carpet One Kitchener they aren't just a customer, and our service doesn't end at the counter. We want to hear about how you're enjoying your new flooring. We want everyone to experience the great service and savings that only Factory Flooring Carpet One can provide! K.P. Woodstyles is a detailed hardwood floor and staircase refinishing company located in the GTA. Home renovations are something very dear to homeowners so choosing the right company is very important. We focus on quality over quantity and use only North American FSC certified products and water based low VOC products. We are also dustless which means no mess sanding your floors!!! Our services include hardwood floor installation, dustless sanding and refinishing of both floors and staircases and staircase refacing. Why go with a prefinished product when you can have custom! Welcome to 1 HARDWOOD FLOORING, the top rated Hardwood flooring company in Mississauga. 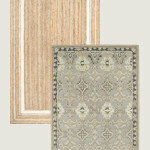 We offer great deals on Hardwood, Laminate and Engineered Flooring products. 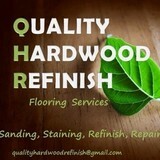 We also do Hardwood Flooring installations from our team of highly experienced Flooring installers. If you are in the Greater Toronto Area and in need of high quality hardwood for your home, please visit our Showroom in Mississauga. We service all of the GTA area – Toronto, Mississauga, Brampton, Vaughan, Markham and all surrounding areas with the best floors sale in the GTA.